For me, there’s no greater motivation than knowing that millions of people around the world benefit through our products. From the patients whose lives are improved, to the people who pass safely through borders and airports every day. I feel proud of what we do. This is what drives me to want to deliver more to you as we grow our global business. Our innovative business comes with important responsibilities and we all have a role to play. We must do things responsibly, cost-effectively, and in a way that creates value for society. Sustainability touches every area of our business—from the way we innovate and engage with our customers, to our investment in our diverse workforce, and the impacts we have on people and the environment. Conducting ourselves to high ethical standards is just the starting point. This involves everyone we work with. This is why I am especially excited to welcome you to the launch of our first Sustainability Report and Strategy as Varex Imaging Corporation. As we progress on our sustainability journey as a stand-alone business, our new strategy will help to ensure we maximize our positive impact, working with our customers and partners to ultimately create a healthier, safer future for society—the title of our first Sustainability Report. 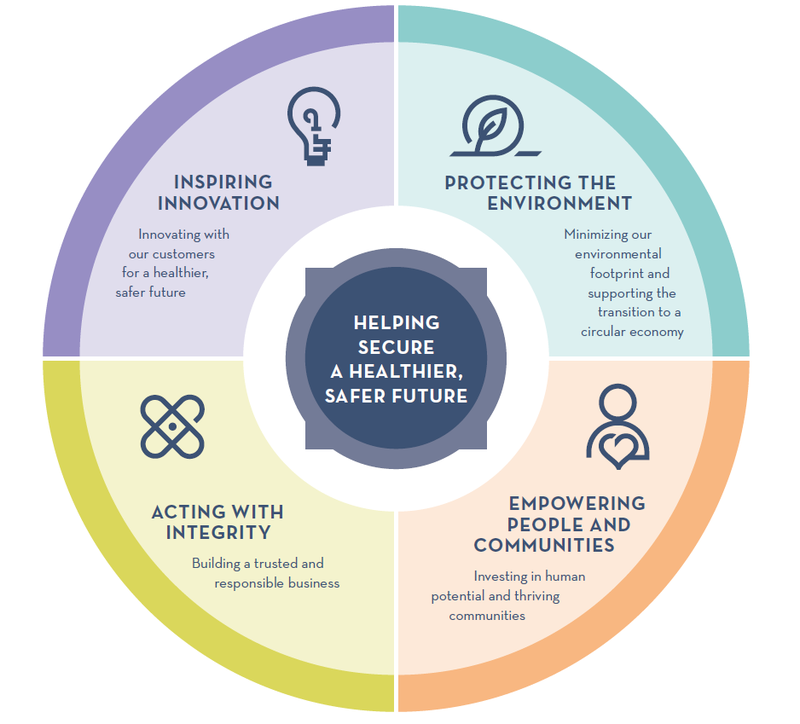 Our strategy is organized around four pillars: Inspiring innovation; Protecting the environment; Empowering people and communities; and Acting with integrity. Under each of these pillars, we have identified bold new ambitions that will drive our continuous improvement through 2030 across all areas of the business. Many people have a part to play: what our employees, customers, suppliers, and partners do is fundamental to our future success. We can only achieve our goals with your continued partnership and commitment. We also want to be as transparent as possible about how we do things, as well as how we are progressing toward our targets and the challenges we face. This is why we have published our first Sustainability Report as Varex Imaging, so that anyone—both current and future employees, customers, neighbors, suppliers, and investors—can find out what we are doing to respond to the needs of people and the planet. Our 2017 report is designed to meet Global Reporting Initiative (GRI) best practice standards. It is also informed by—and shapes our contribution to—the UN Sustainable Development Goals (SDGs) for 2030, which aim to benefit people and the planet. I invite you to read the report, which is available on our website at vareximaging.com/sustainability, to discover our ambitious new sustainability goals. Also, look out for future blog posts where we will explain more about the journey on which we are embarking and how it involves you. Thank you for your continued commitment and support.